I have been a Simple Minds fan for close to 40 years (yeesh). The first, and only time until yesterday, I saw them perform live was at Pine Knob when they opened for The Pretenders on August 14, 1984. To the best of my recollection I loved every minute. 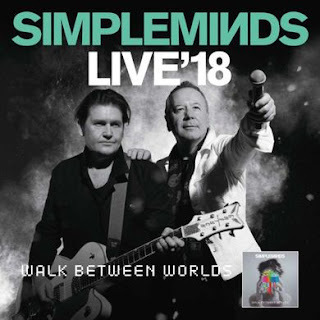 Never stopped listening to, and loving, the music from Simple Minds. The core members Charlie Burchill (guitars n keys) and vocalist Jim Kerr have never stopped making music that spoke to me on many levels. I was able to follow their tours on the net over the last few years - let me amend that sentence to include the word "European" in front of "tours". Sure, they came over to the states in 2013 and some other time, but they never stopped in Michigan in spite of my pleas!